Supreme Court Rules For Monsanto In Case Against Farmer : The Two-Way An Indiana farmer bought soybeans that he knew likely included some with genetic modifications developed by Monsanto. The agribusiness giant sued because it controls the patent on such soybeans. 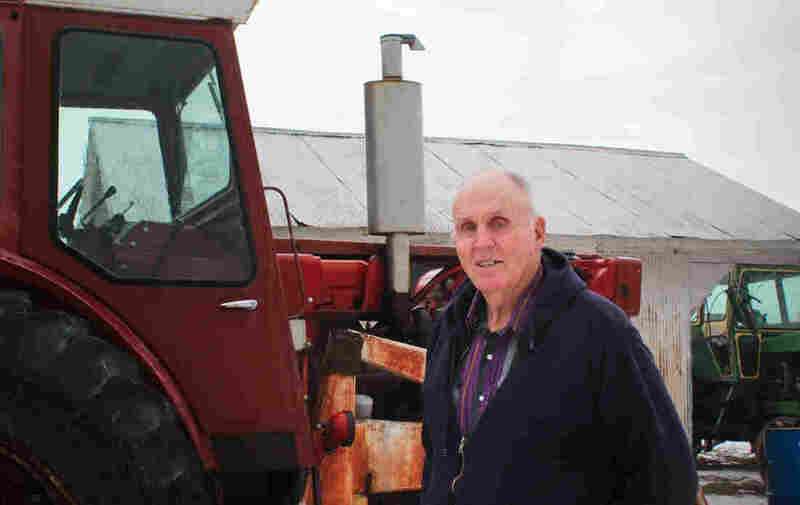 The Supreme Court says the farmer infringed on Monsanto's legal rights. In the decision, written by Justice Elena Kagan, the nine justices ruled that "patent exhaustion does not permit a farmer to reproduce patented seeds through planting and harvesting without the patent holder's permission." Monsanto's "Roundup Ready" soybeans can survive sprayings of the nation's most popular weedkiller. Farmer Vernon Hugh Bowman had been using — and paying Monsanto for — the company's Roundup Ready when he planted his main crop in the spring. He also signed "standard agreement not to save any of his harvest and replant it the next year. Monsanto demands exclusive rights to supply that seed." The farmer got into trouble when he planted a second crop of soybeans later in the same year, when the yield would likely be much lower. As Dan wrote, "Bowman decided that for this crop, he didn't want to pay top dollar for Monsanto's seed. 'What I wanted was a cheap source of seed,' he says. Starting in 1999, he bought some ordinary soybeans from a small grain elevator where local farmers drop off their harvest. ... He knew that these beans probably had Monsanto's Roundup Ready gene in them, because that's mainly what farmers plant these days. But Bowman didn't think Monsanto controlled these soybeans anymore, and in any case, he was getting a motley collection of different varieties, hardly a threat to Monsanto's seed business. 'I couldn't imagine that they'd give a rat's behind,' " he said. Monsanto did care. It took Bowman to court. The farmer, as Dan reported, was ordered to pay Monsanto $84,000 for infringing on the company's patent.